Volaris from December 2014 begins operation to Ft. Lauderdale, initially offering 4 weekly flights from Mexico City, and 2 weekly from Guadalajara. Planned schedule as follow. 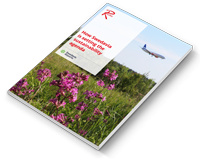 Why Swedavia, the owner, operator and developer of a network of Swedish airports, is at the forefront of the sustainability agenda. Subscribe to our daily Airlineroute newsletter for the latest route changes and updates.